Steven (Chicagoland, United States) on 16 March 2017 in Animal & Insect and Portfolio. Taken at the Brookfield Zoo in Brookfield, Illinois, May 10, 2010. Merveilleux perroquet et quelle couleur sur son plumage sueprbe vue. It is really strange that live in the jungles of such disparate birds. One might think that they are easy prey for predators. It is very beautiful. Voilà un oiseau vraiment très beau , des couleurs superbes ! Very beautiful capture of the perroquet and his colors ! wow !! That is a crack shot! Fantastic !! 5*****'s detail and colour ! I know ultra close-up of this pretty bird. I'm impressed of how the color is brilliant and highly detailed. Beautiful macaw. They are very sociable birds, but also very stubborn. The macaw was very well portrayed. A beautiful character you captured here. I love its colors. A colorful portrait, very beautiful. Such a gorgeous bird. I love his colors. This is a spectacular portrait! Those are absolutely beautiful colours. Wow, incredible capture! It's so beautiful. He he... it was a very noisy bird. Fantastic portrait of this colourful fellow. Good use of focus as well. 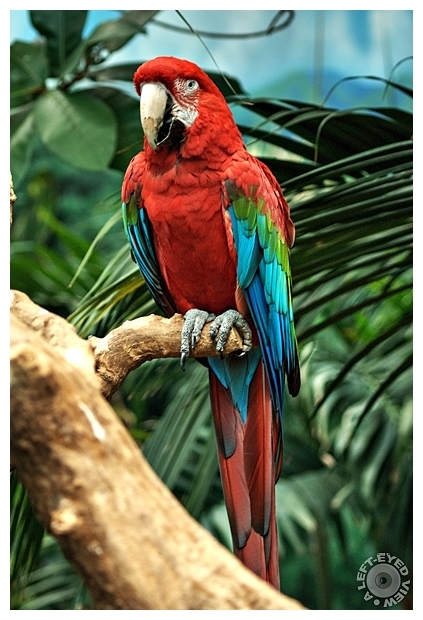 A lovely,colorful photo of the parrot. A great capture : bravo. Have a nice week, Steven.